Real world experience is essential for those studying a degree in a construction related field and if the industry is to attract the best future minds, companies like Winvic must help the stars of tomorrow gain a head start. Therefore, each summer, Winvic welcomes a number of students to join its team and undertake ‘year in industry’ placements, where they learn valuable hands-on lessons and acquire knowledge to enhance their remaining academic studies. For the last four months, the Winvic team has been helping five new recruits to become accustomed to a life working in construction, and to practically apply what they have learned in the university classroom over the last two years. We caught up with some of them, to find out why they chose the construction industry, what they think of the Winvic experience so far and how they see their future careers. First we hear from Peter, an aspiring Quantity Surveyor who is studying for a BSc (Hons) in Quantity Surveying and Commercial Management at Nottingham Trent University. “Like lots of other young people these days, my story starts with me not really knowing what I wanted to do, and I talked about options to my parents. My mum works in procurement within the construction industry and although I did think about different trades, I think the thought of a ladder to climb made me want to look at management options. 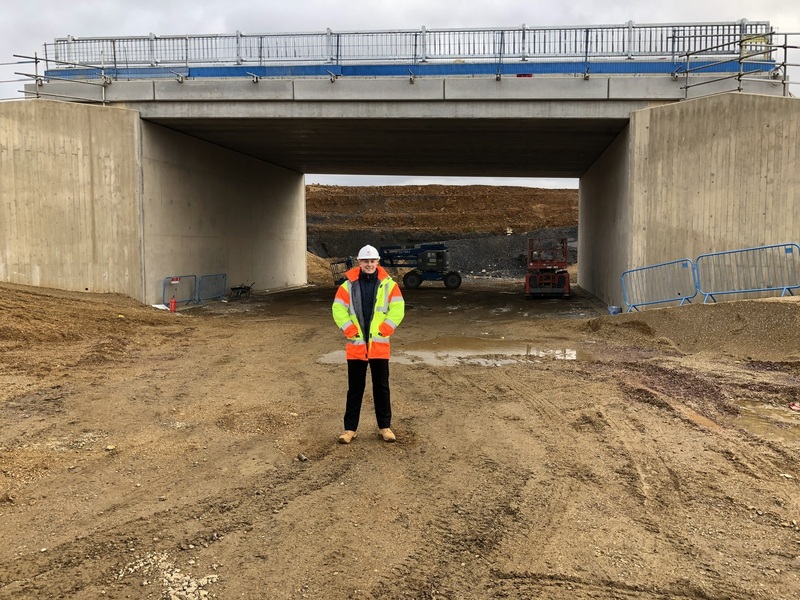 I first studied Construction and the Built Environment at Moulton College, which gave me a great all-round base, and I next started a Civil Engineering degree. However, I was taken by surprise and it just didn’t feel right so after three weeks I switched to the commercial side of things, and I just loved it. “Around this time last year I had to really start thinking about my year-long placement at a company and I had a few interviews, but when I met Winvic… I was just blown away by them. As I’m from Northamptonshire I knew of the company and I did a college project about Rushden Lakes shopping and leisure development, but I just had a gut feeling. Now I’m here I’m so pleased with my decision and four months has flown by. “My first week was pretty daunting, but it felt right. Everyone was, and is, friendly and helpful, and I really enjoyed my first month where I had the chance to see quite a few projects and shadow different people. For the last three months I have had the same daily mentor, Peter Caunt, and I have been located in Raunds, working on two large industrial warehouses. I’m learning so much from the whole site team, they’re ten out of ten! In addition to my daily mentor, I also have a managing mentor who conducts my monthly reviews; together they are teaching me the day-to-day job, the importance of commercial awareness, and how valuable it is to work on creating good relationships. Please get in touch with Rebecca Schwarz on rebeccaschwarz@winvic.co.uk for more information on our year in industry placements.